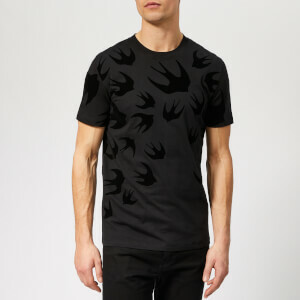 McQ Alexander McQueen black ‘Swallow Swarm’ sweatshirt in soft cotton jersey with a regular fit design. 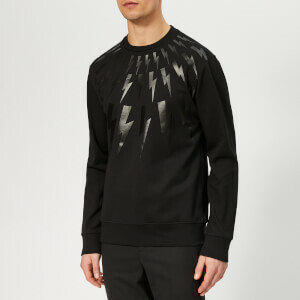 The men’s sweatshirt features the label’s signature all-over swallow print in tonal flocked velvet. 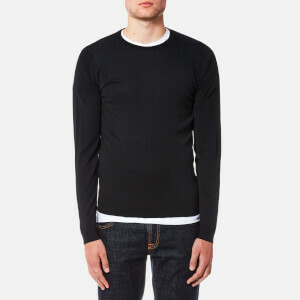 A ribbed crew neck, hem and cuffs completes the monochrome design. 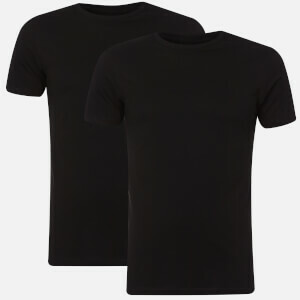 Main Fabric: 100% Cotton. Trim: 98% Cotton, 2% Elastane. Details: 100% Polyester.